Theri is to release on April 14th. THERI WILL BE VIJAY’S EIGHT! The shooting of Theri was wrapped yesterday, 17th of January, at Leh-Ladakh. We hear that the makers are planning to release the film on April 14th (Thursday) and it can be expected to be a big four day weekend for Theri. We also hear that the makers are planning to release the teaser of Theri for Republic day 2016 (January 26th). Our sources close to the team claim that the teaser work is in progress and based on its completion, they will decide on the release date. But as of now Republic day is an option. Stay tuned. Three in 2015 and more to come…. Who can be the best boxer? Ajith, Vijay, Vikram or Suriya? An extra Ka; answer in the evening? Jiiva and Kajal's love tale begins! Currently Vijay's Theri Team Is Shooting A Song Sequence At Chennai. 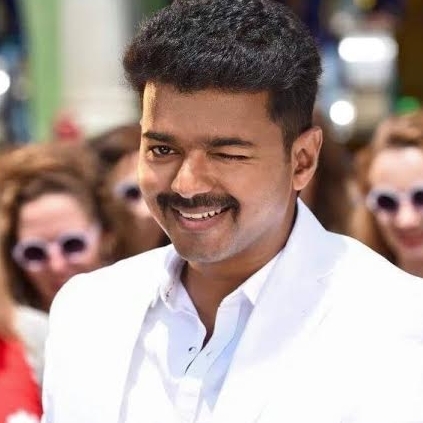 Vijay's Theri Not To Release In April 2016. Intermissions - Do We Really Need Them? First Look Is The Best Look! People looking for online information on Theri, Vijay will find this news story useful.